﻿ Nikon today released a new video teaser called “Mount” for the upcoming Nikon full frame mirrorless cameras. You can watch the full video above. There will be 4 more video teasers before August 23rd, stay tuned. 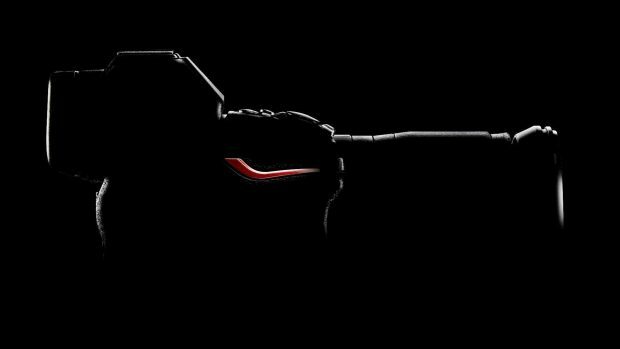 New Teaser of Nikon Full Frame Mirrorless Camera, and Announcement Date Confirmed ! Nikon today has released a new teaser for the upcoming Nikon full frame mirrorless camera. This new teaser shows the iconic red swoosh. The official countdown timer for Nikon full frame mirrorless camera also released, which means officially announcement will be on August 23rd as rumored before. Author adminPosted on July 27, 2018 August 2, 2018 Categories Nikon Full Frame Mirrorless CameraTags Image, Nikon Z300, Nikon Z500, Teaser1 Comment on New Teaser of Nikon Full Frame Mirrorless Camera, and Announcement Date Confirmed ! Breaking ! First Video Teaser of Nikon Full Frame Mirrorless Camera ? Nikon just published a new dedicated site called “In Pursuit of Light“. And first video teaser “Travel of Light” is already available online. In this video, we can clearly see a new Nikon camera: Is this the upcoming Nikon full frame mirrorless camera to be announced soon ? Stay tuned for more info. Author adminPosted on July 23, 2018 July 23, 2018 Categories Nikon Full Frame Mirrorless CameraTags Teaser, VideoLeave a comment on Breaking ! First Video Teaser of Nikon Full Frame Mirrorless Camera ?